Home Drones by Price Drones from $201-500 OBTAIN F803 drone: Cheaper alternative to Mavic Pro? OBTAIN F803 drone: Cheaper alternative to Mavic Pro? 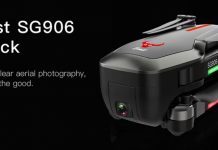 At first look, the OBTAIN F803 looks like a great alternative to the popular Mavic Pro. It has not just similar foldable design but also comparable features. 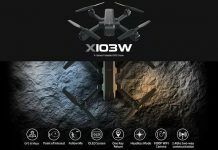 The OBTAIN F803 drone comes in 2 Colors, white and black. My biggest concern regarding these new gadgets from unknown manufactures are the after sale support through spare parts availability. 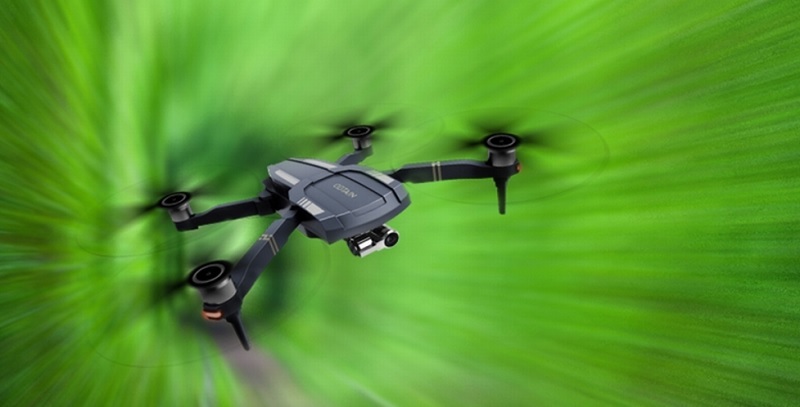 Famous brands like DJI are continuously offering firmware updates for their products which can solve hidden issues as well as bring some new features. According to the C-fly OBTAIN F803 specifications, the 3 cell 3800 mAh battery allows about 22 minutes of flight autonomy – a bit less that its competitor. Thanks to the “Fail-safe RTH”, when the battery is near empty the aircraft will return autonomously to the take-off point. Banggood announced the C-Fly Obtain in two variants. A cheaper one with WiFi control and a more expensive one in bundle with 2.4G transmitter. Both versions are available in black or white. About 22 minutes of flight autonomy. 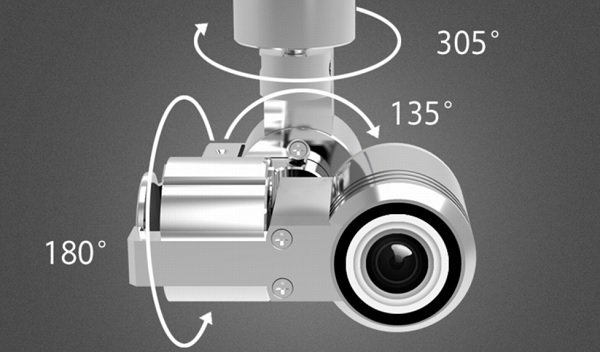 In order to allow vibration free and smooth aerial videos, the 5MP camera is mounted on a 3-axis gimbal. DJI is overpriced and they have there share of problems. I owned a DJI Inspire 1, DJI Phantom 2, DJI Phantom 3, all had there share of problems. I have sold them and moved on. I,ll stick with an open source drone and modified toy drones, for what I do I don’t need an expensive drone. High demand , If the Chinese get wind of it up goes the price. Just watched a review by Dustin D. and he was having a lot of trouble with just about everything on the drone. Then he tried it with just his phone and it went crazy and crashed into a tree resulting in a front leg breaking off! His assessment was, do not buy! Yes, I always mention that you got what you pay for. We can’t expect from the Obtain F803 to provide same readability, features and performance as the twice more expensive DJI drone. interesting! do you know if it will work with the DJI GO APP? Or it will have a similar APP? Any info about the range of the OBTAIN F803?? ?